Here we go again! 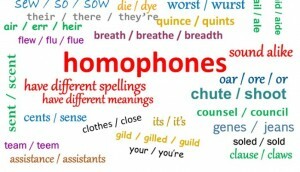 More of those tough words (aka homophones) in English that sound the same (or nearly so, anyway), but mean something different and are spelled differently. And it doesn’t matter how much English we know; these words bedevil even the smartest people and the best writers. Let’s always remember that spellcheck — that marvel of spelling correctness — can do only one thing: check spelling. It’s always up to us writers to read what we’ve written to be sure the words we have used are the ones we meant. Lyre (n.): a stringed musical instrument. Were any of these new to you? I had NEVER heard of lyse, so now I know it could be an answer in a crossword puzzle.